Two beautiful homes on 6.1 acres. 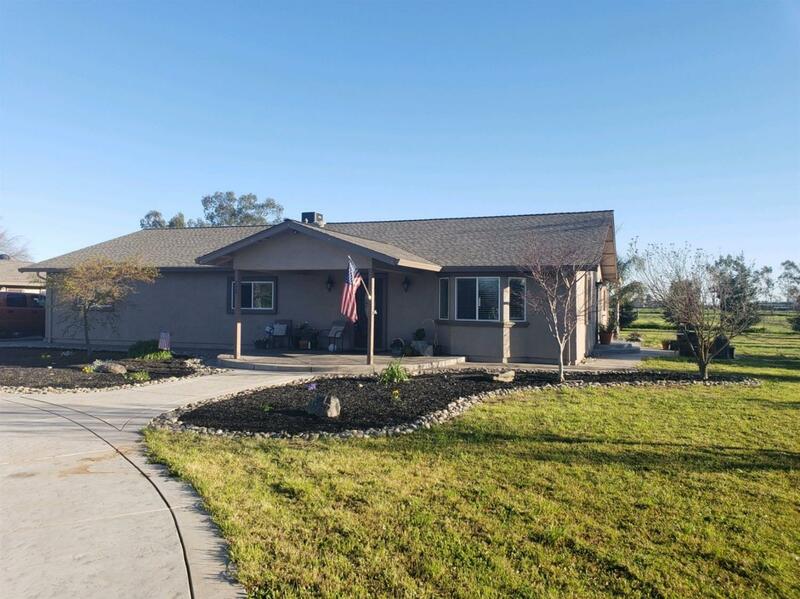 The main house is over 3000 sq ft and was recently remodeled and updated (approximately 2.5 years ago) Beautiful bamboo flooring, Incredible kitchen with beautiful granite countertops, double oven, huge pantry and newer tile floors. Comfortably large family room with huge dining area for all of your large family gatherings. Amazing game room/TV area measured at 37X13 for your large family gatherings. All three bedrooms are extra large and wait until you see you the huge office right off of the extra large master bedroom. Roof is approximately 2.5 years. The second house is a 3/2 bath 1250 Sq Ft recently remodeled manufactured home on a permanent foundation with its own address. Very spacious bedrooms, granite in kitchen, and has a newer roof. Large detached garage and an outbuilding for additional storage. Majority of acreage is fenced in. Outdoor BBQ and above ground pool included. Property sits at end of flag lot road. Incredible property! !